“I’m a person who loves life and hopes to inspire people to live their dream. My purpose in life is to create art that will last generations. My passion is motorcycles. There are not many other things in life that give me feelings of freedom and happiness than when I’m creating masterpieces or exploring the world on my Harley-Davidson. Albie says each painting has hidden messages that are quite hidden from the naked eye. They are encased within the layers of paint. He documents all of his art from start to finish so people can have a clear insight into how much work and time is put into these masterpieces. 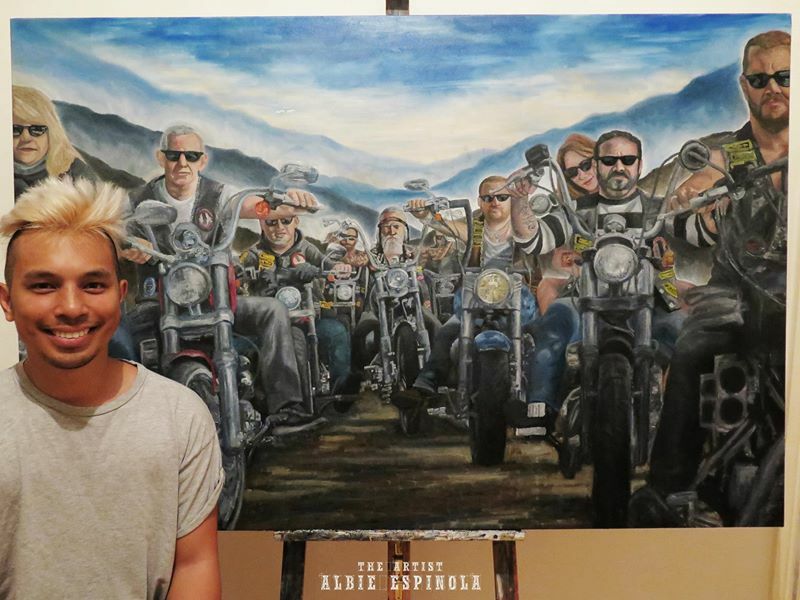 Check out the rest of Albie’s amazing work at his official website.